These Larabar Bars are so good! 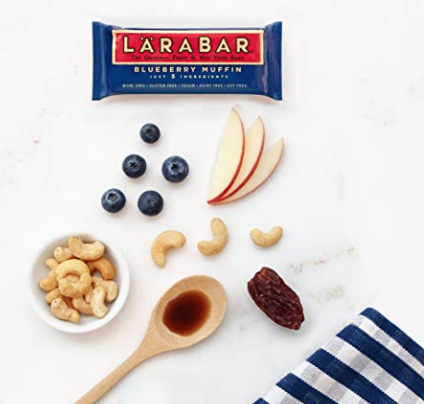 If you are a fan of them as well, you can head over to Amazon to snag $2 off Larabar Bars when clip the coupon! Even better, these are eligible for Subscribe & Save, which means an extra 5% off. You can pay as low as $7.42 for a box of 16 Blueberry Muffin Bars shipped right to you! Note: Be sure to opt out of the Subscribe & Save after your order ships if you don’t want future deliveries.